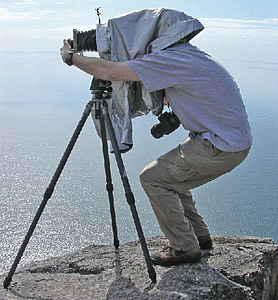 This is a picture of me using my large format camera. I. Photo © copyright by Brett Deacon.